You can see that Junaid is also there in the song.So this time the complete ban will be there in the song,as last time Junaid was not there in the song LAGI CHHUTI. 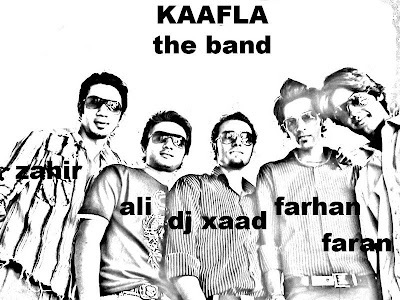 Here is new band from the Pakistani underground muzic scene KAAFLA....Kaafla means a group of people on a long long journey....So these guys have to go a long way,in the world of muzic. Their debut track AANKHEIN is out now and i am giving the download link of that song here. To download their debut song AANKHEIN,click on the given link below. There is a good news for all of you guys...Now MUSIC WORLD is available on it's very own domain www.TheMuzicWorld.com . Unfortunately,the domain musicworld.com or themusicworld.com was not available.So i selected this domain for the blog TheMuzicWorld.com.....So from today,this blog will be known as THE MUZIC WORLD...Hope that you people will like this new name. These days doctors also moving towards gadgets and some technology and because of this,few companies are making product specially for them,such as Epocrates.They are making some high end pocket-size devices for physicians. Their drug reference guide software is now used by over 500,000 medical professionals. A doctor or physician can load Epocrates drug guide on their PDA or smartphone so, by that way,clinicians can immediately access the information needed to make prescribing decisions – such as drug dosing, side effects and health plan coverage. Epocrates is offering their 'drug reference guide' for multiple devices and offers clinicians like,Pocket PC software,Palm software,Windows Mobile software and even for BlackBerry.Now they are working with Apple to develop a drug guide for iPod.....So for all the medical professionals,it's a must have software. In this post, i just want to say Thanks to all of you from the core of my heart...It is really nice to see,the way you guys are supporting the Music World, by giving your Comments or by distributing the post links..
...Salman is also in the band Saturn and Tabbish of AARAIZ THE BAND also play drums for LAHU sometimes. Here is the very first and one my favourite track of Inteha,DAASTAN....Last time i gave you the links and video of ANJAANA and the album teaser of the ldebut album of the band Inteha.....And this time it's their debut track DAASTAN. Few students of City School,Sahiwal (PAKISTAN),namely Ashaar Azmat and Hassan Murad made a band and have got their song recorded in norway....SOUNDS NICE NA...? 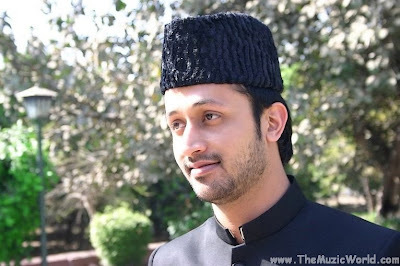 The song is Bandish-e-Zindagi.It has nice music and lyrics. May be their band name sounds weird but in their own words, "We have named it Ei8th Note to indicate that seven is supported to be a very important or lucky number as there are seven layers of earth, seven skies, seven wonders of earth, seven oceans, seven colors of rainbow, seven sisters (stars) and seven notes of music but Ei8th Note is that neglected issue which is no body has ever paid any attention." So you can expect that these guys will be a bit different than other bands...Their debut track LAUT AAO is out now and here i am giving you the link to download it. Well till now i shared the video and pictures of the latest track AARZOO of AARAIZ THE BAND but till now i did not shared the audio of that track as it was not available to me. I just got that yesterday and now i am making this post to give the download link of that song to al of you Pakistani music lovers. 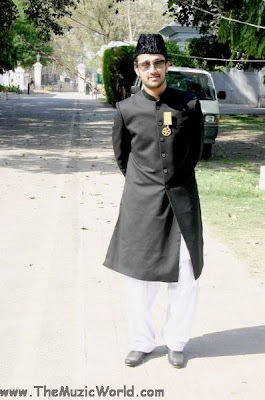 These days FALAK is a big hit in Pakistani music world and he is performing alot in concerts and live performance these days.Few days before he performed in PC Lahore.In this video FALAK is performing his famous and hit track ROG and the next upcoming track MANDIYAN. These days a new metal band is in making and it is quite good.This new band is Black Skull.....As you can easily get the idea that these guys are very much in metal.They are caling themselves CHILDREN OF METAL. Few days before they released their first instrumental track CURSE OF BLACK SKULL and it is a good one.It is really nice to see that these people are in metal when every new band is in Nu-Metal or Alternative rock....Soon they are going to release their new tracks FARYAD and A MOURNFUL WISH....Till then you can enjoy their latest instrumental track CURSE OF BLACK SKULL. If you are interested then you can also join their OFFICIAL ORKUT COMMUNITY. 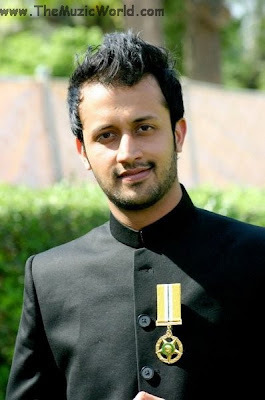 Few minutes before one guy Sandeep wrote a comment on the post about the debut video AARZOO of AARAIZ THE BAND and asked for the download link of that video....THANX A LOT that you asked for that otherwise i was really forgot to put the download link of the video of AARZOO. Well sorry to say but this time i am not posting anything related to the music in this post...I just want to inform you all that i started two new blogs,Infotainment World and The Infotainment World few days before and i just want you to know about them.Their name sounds same but they are totally different in content.to each other. So in your free time,please try to take a look on them. These days AKASH THE BAND is doing concerts all the time.So it is a nice time for all the fans of AKASH THE BAND,to watch them performing LIVE. Summer is coming and with that time for holidays are coming.Few of them will go to some hill stations and few will try to go abroad and make a great holiday for a lifetime.These days more and more people are going to LAS VEGAS for holidays,as it is popular for money,life style and big names.But sometimes it is really difficult to get the right hotels to stay there....If you want to know more about Las Vegas Hotels,then BEST OF VEGAS can be useful for you.On this site you can all the important details and the features of the hotels there.Here you can information about the famous shows,specially internationally recognized Cirque du Soleil Shows....So next time when you want to visit LAS VEGAS then BEST OF VEGAS is a must visit site for you to plan all your trip. 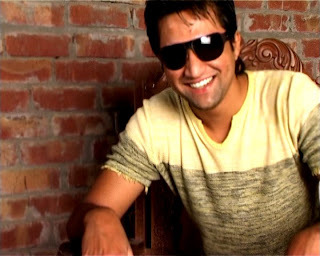 Well as we all know that the new Pakistani singer FALAK is just rocking the music world with his debut track ROG,here is good news that there is the chance that his next track MANDIYAN is going to release..He is also planning to release the video together with the audio...Hope that soon we gonna get one more nice track from him. 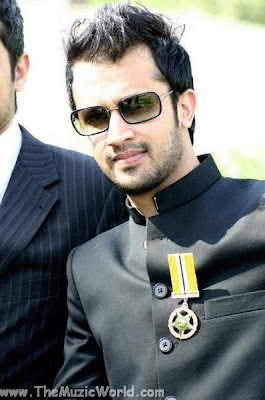 Keep visiting the blog for the more updates about this new song MANDIYAN by FALAK. I got one more video of AKASH THE BAND performing at the official music launch show of their debut album AKS....This video is of the song Armaan.It is not the complete video of the performance ,just like the video of Ji Lia....But still hope that you guys will like it. I enquired about some nice VoIP Phone Systems and found Xpander.They are providing a nice business class VoIP service which is very flexible and user friendly.It is a universal gadget as you can use it by just Plug and Play.You can easily manage your voicemail and with your business with this.By this service you can make unlimited US calling and free dialing to any other Nimbus VoIP phone in the world.This is a low cost thing to make big bucks from the business.....So this time i am gonna take it for my father to manage his business and hope that soon i will be pride owner of a VoIP phone.